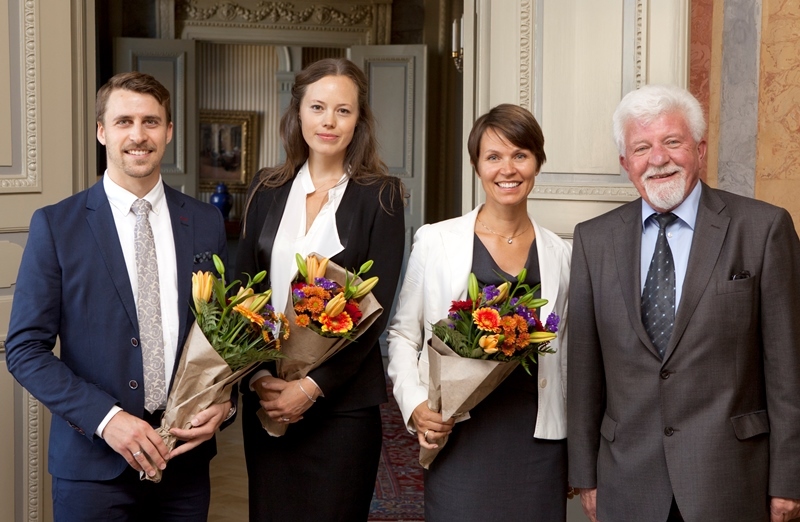 Oskar Kvarnström, Jeanna Perman Sundelin and Ann-Sofie Hörlin have been awarded the Rune Andersson Scholarship 2014. 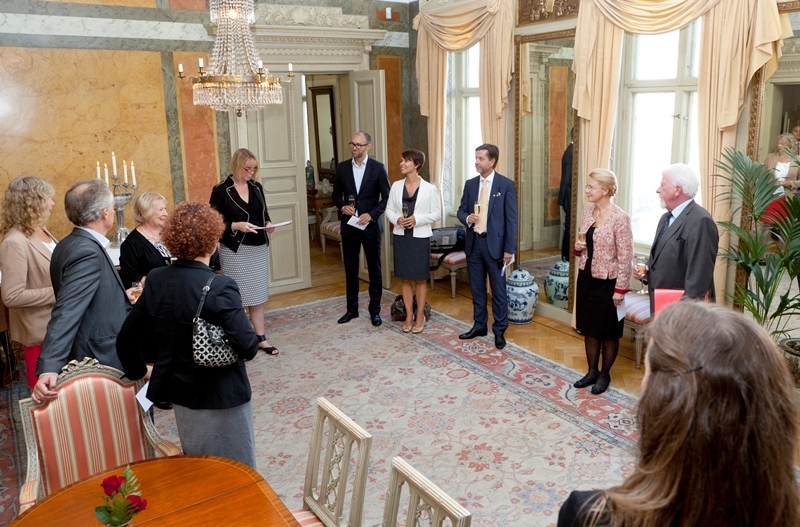 They received their awards of about half a million SEK each at a formal ceremony in the House of William Chalmers. 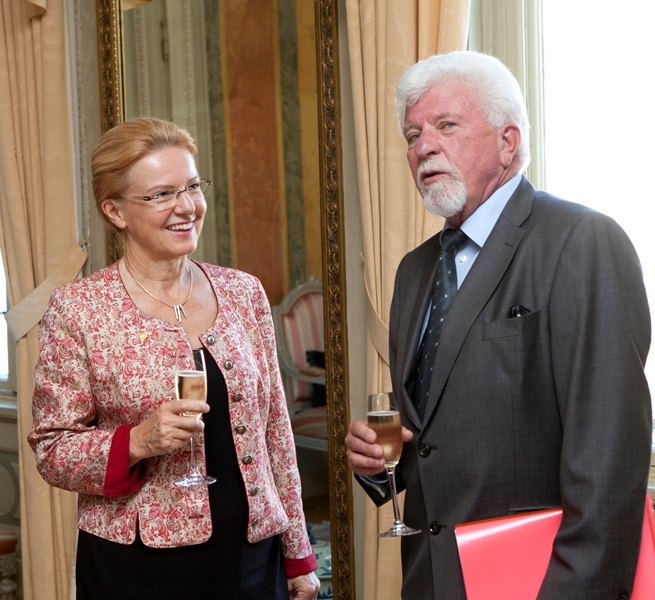 There is always a celebration when Chalmers is awarding the Rune Andersson Scholarship. 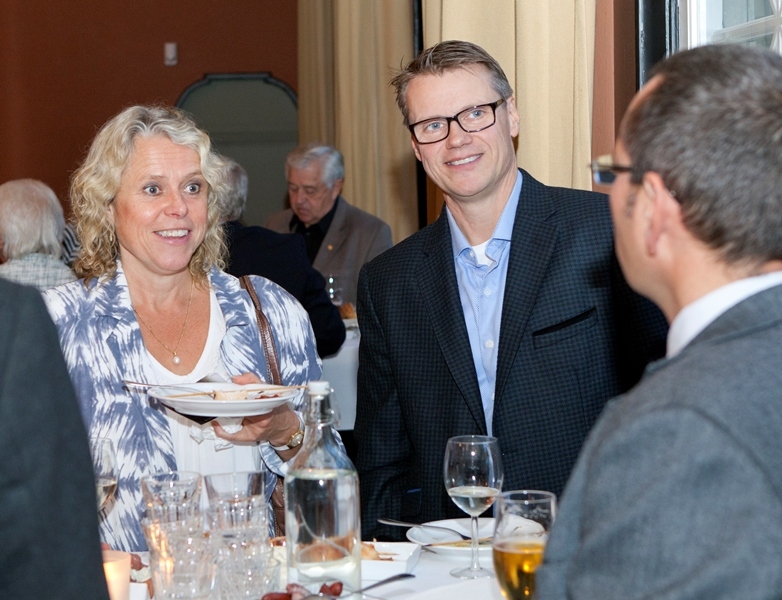 The chandeliers are twinkle in the House of William Chalmers, there are lit candles on the tables, the scholarship recipients and their families are beaming and donor, Chalmers Alumni and industry legend Rune Andersson, is all smiles as he mingles. 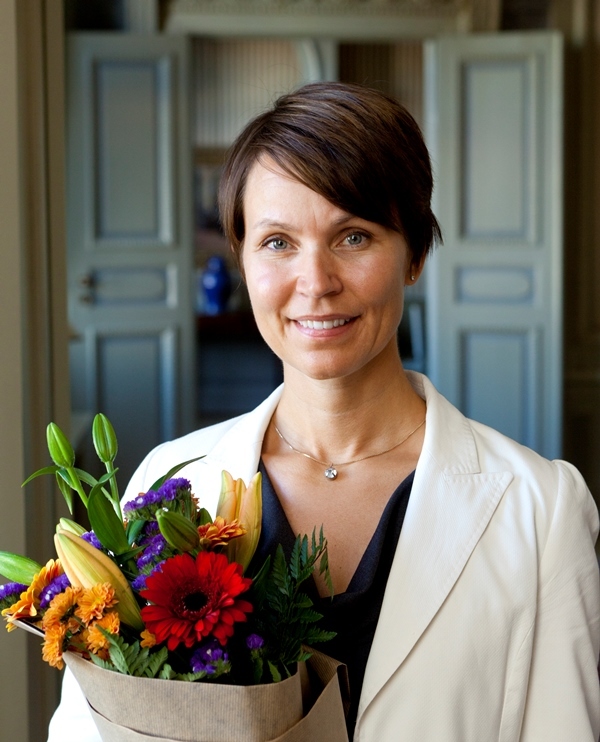 Karin Markides, President and CEO of Chalmers, was the first speaker at the award ceremony. – This is one of the finest celebrations at Chalmers, she said. – It’s amazing that we have alumni who truly understand the value of what Chalmers students can contribute to society given the opportunity. Ever since I became the president in 2006, I have been very interested in how we can manage to deliver absolutely the best education and absolutely the best students. The president pointed out that the scholarship is an important part of this effort. – The understanding of what an engineer can accomplish in society by adding additional skills in leadership and economics is central. You know this and that honours you, she said as she expressed both hers and the University’s thanks to Rune Andersson. 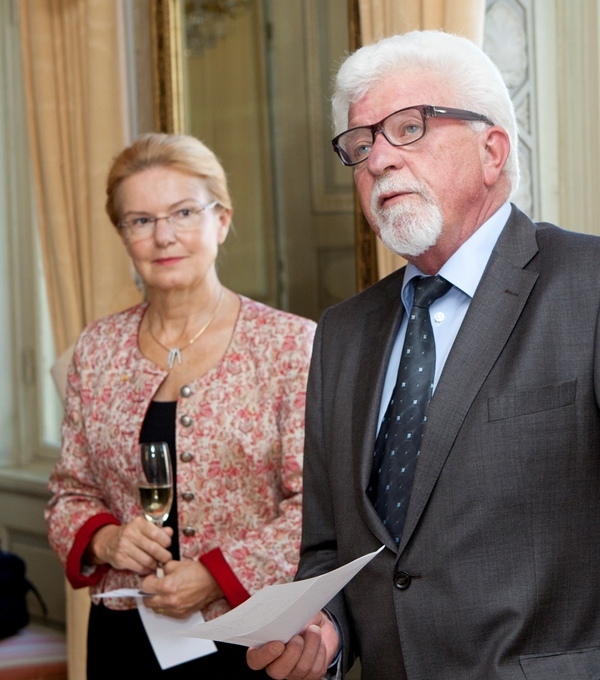 As is his wont, the donor himself held a speech in which he talked about his 40 years at the top of Swedish industry. – When I started, technology factors dominated basic industry. But much has happened since then and today marketing costs are completely dominating. Both areas have to work in balance. One disturbing trend I’ve noticed over the past 20 years is that venture capital firms have taken over many Swedish companies. A strange situation, and one I don’t think is particular healthy. Time now has to be spent on both short term marketing and long term technology development, said Rune Andersson. According to him, venture capital firms are not interested in the long term, since they know before they even take over a company that they will sell it within a few years. – This situation undermines any incentives to start long term projects. 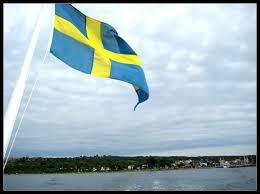 Nevertheless, I’m hoping we can manage to run a large percentage of long term oriented companies in Sweden. – Regardless of the industry you’re in, a two pronged attack is vital – comprising both commercial and technical expertise. Both are equally important and that’s why I founded this scholarship. I believe the chance to supplement your education is important. 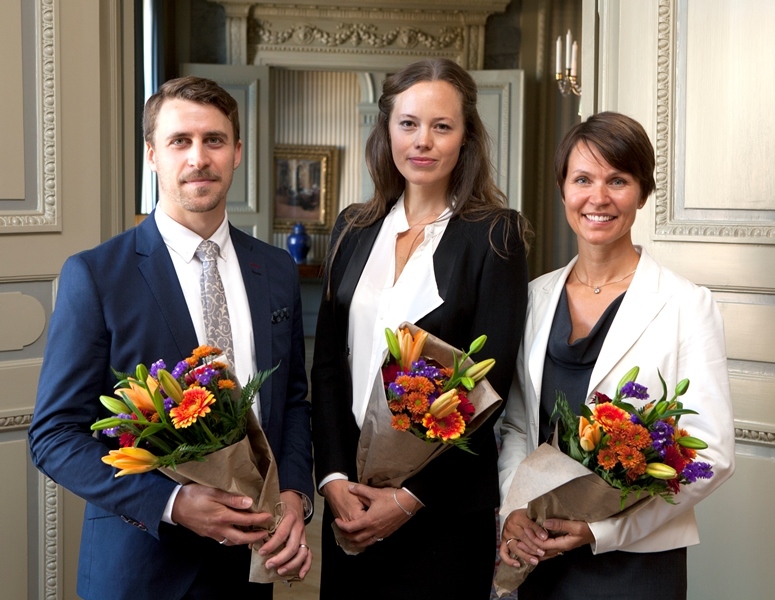 This was followed by the award giving with focus on the three key persons of the day: Oskar Kvarnström, Ann-Sofie Hörlin and Jeanna Perman Sundelin. 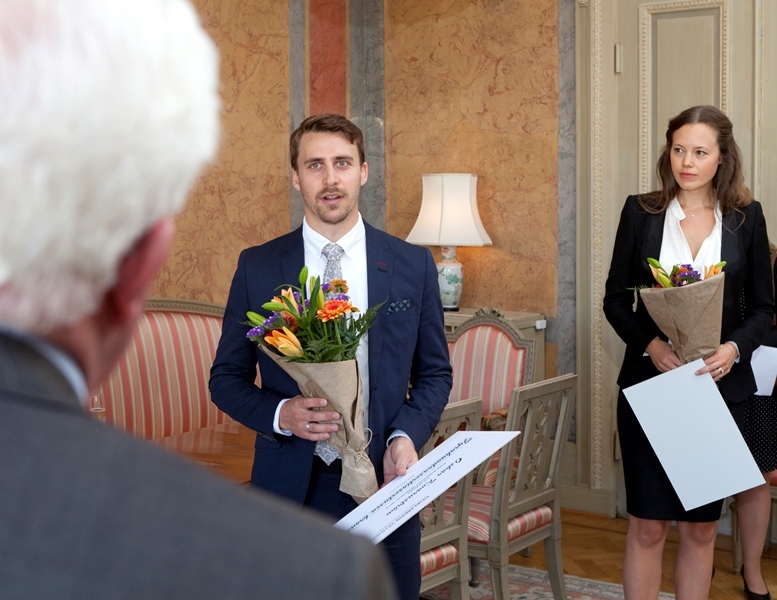 They received flowers and diplomas, which were handed out by Karin Markides and Rune Andersson. 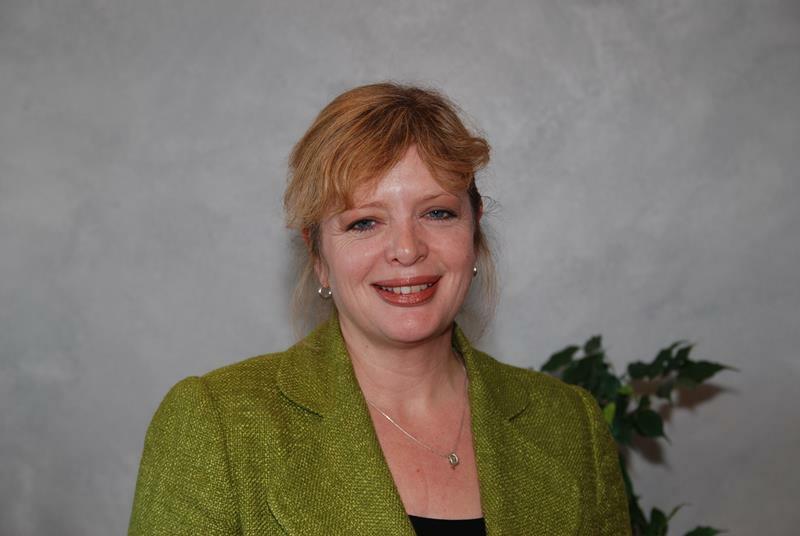 Jeanna Perman Sundelin has a master’s degree in Biotechnology from 2005 and a Ph.D. from the University of Gothenburg. 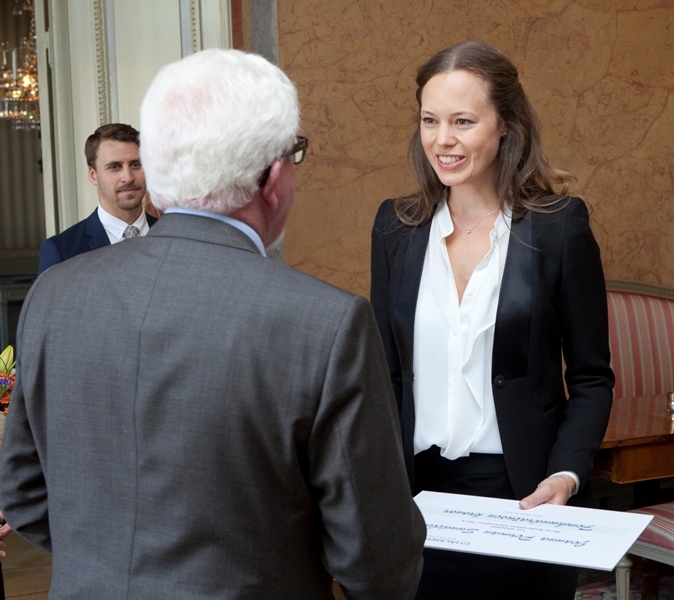 She works in the life science area and has now been awarded SEK 500,000 to complement her already excellent education with an MBA at the prestigious Cambridge University. – I’ve always enjoyed studying. I enjoyed natural science and I had fun studying at Chalmers. I hope I will be able to pass that forward and be part of building up new life science companies. I want to thank you for this amazing opportunity that I now have, thanks this scholarship, said Jeanna Perman Sundelin. 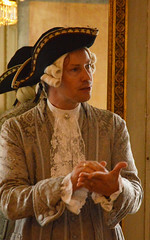 Oskar Kvarnström (F11) was awarded a scholarship of SEK 466,000. 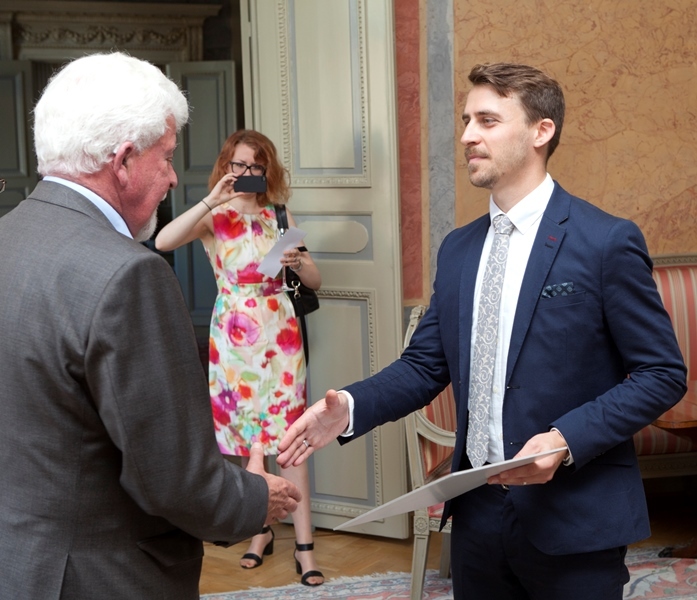 He graduated in 2011 with a master’s degree in Engineering Physics and was active in various student associations during his time at Chalmers. Kvarnström is currently working as a consultant within process energy, energy policy and business development, and now aiming for a Global Energy MBA at Warwick Business School in the UK. – I concentrated on sustainable energy during my last year at Chalmers and feel that it’s what I want to work with now, when the world needs to make the switch. I have very strong technical skills, but feel I’m missing out the marketing part and financial side, he explained. Oskar Kvarnström started his MBA in May. 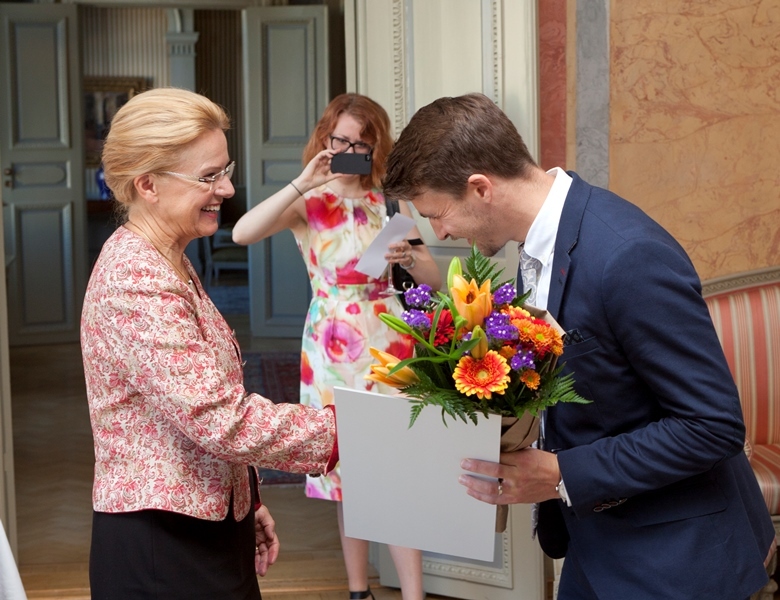 – I accept this scholarship with great gratitude and will do my very best to continue to be a good ambassador for Chalmers in the future. Ann-Sofie Hörlin (V98) has a master’s degree in Civil Engineering and works as Sustainability Manager at Braathens Aviation, in a role with great emphasis on the environment, ethics and economics. 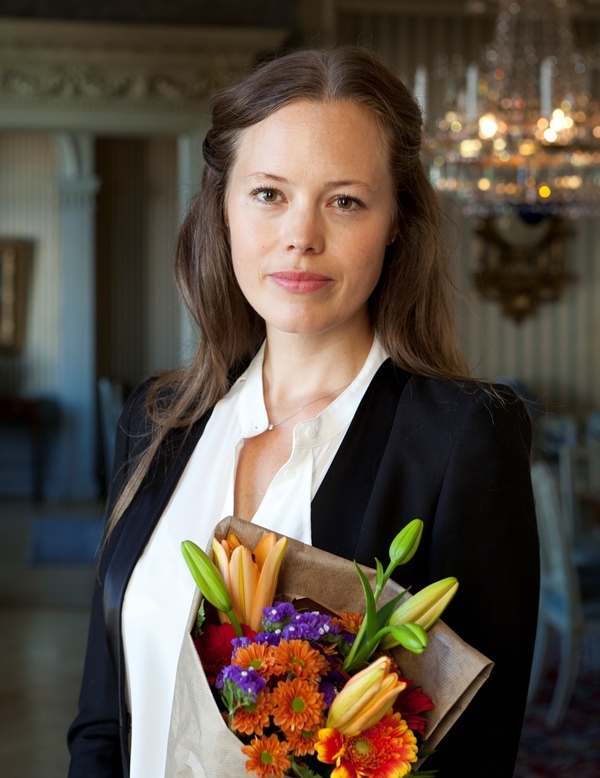 She was awarded SEK 498,000 to study for an MBA at Stockholm School of Economics. 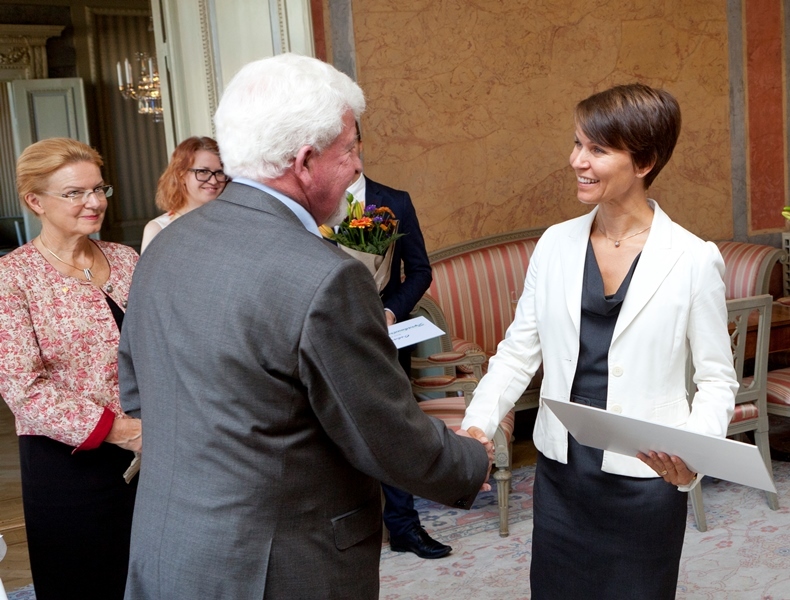 – I’ve dreamt about an MBA for quite some time and thanks to the scholarship, that dream can now come true, said Ann-Sofie Hörlin in her acceptance speech. 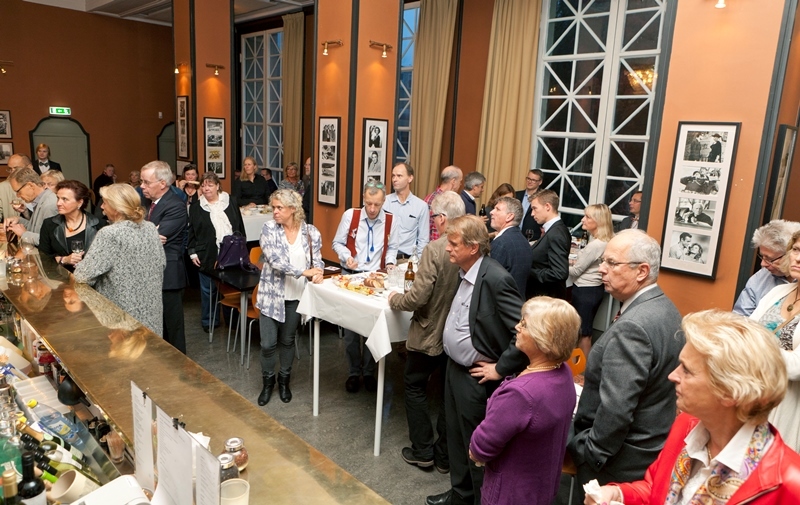 The ceremony on September 3rd was led by Marianne Gyllensten, Development Officer at Chalmers, who took the opportunity to thank Sirpa Pöyhönen, who for many years have been an important cog in the machine for Friends of Chalmers and is now retiring. – Without your “sisu” we will be feeling rather flat, said Marianne Gyllensten. 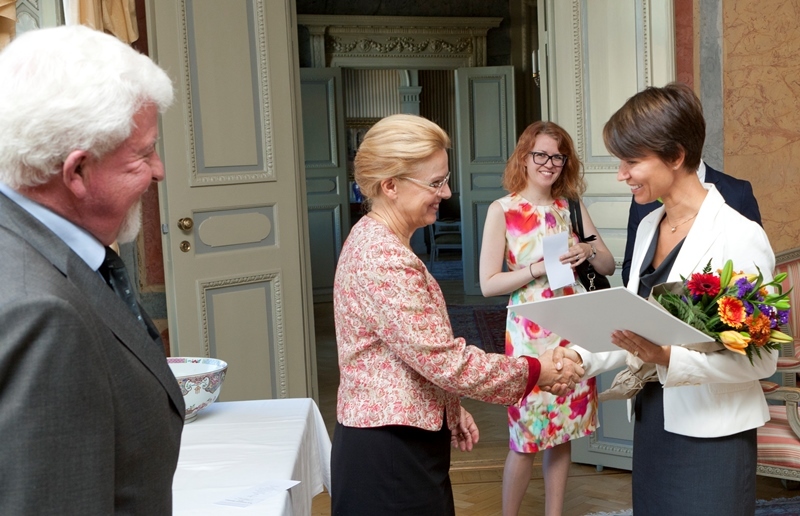 Rune Andersson Scholarship was awarded for the eighth time this year. 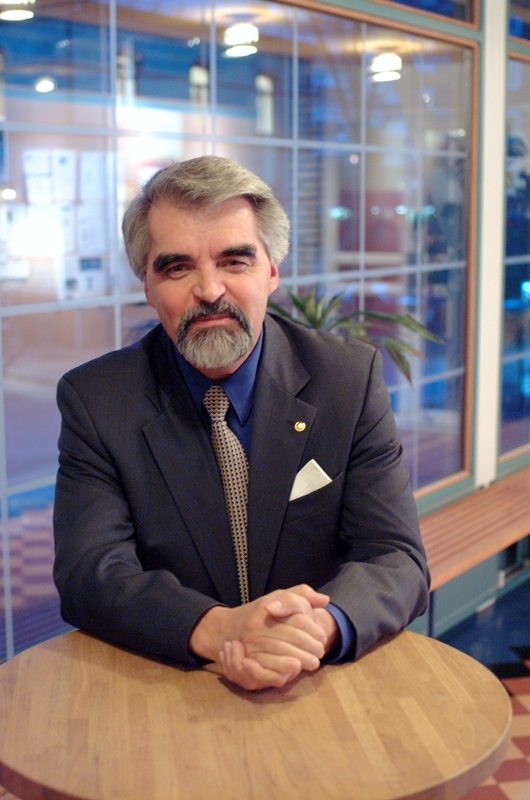 So far, Andersson has donated a total of SEK 13.5 million to the scholarship carrying his name at Chalmers. 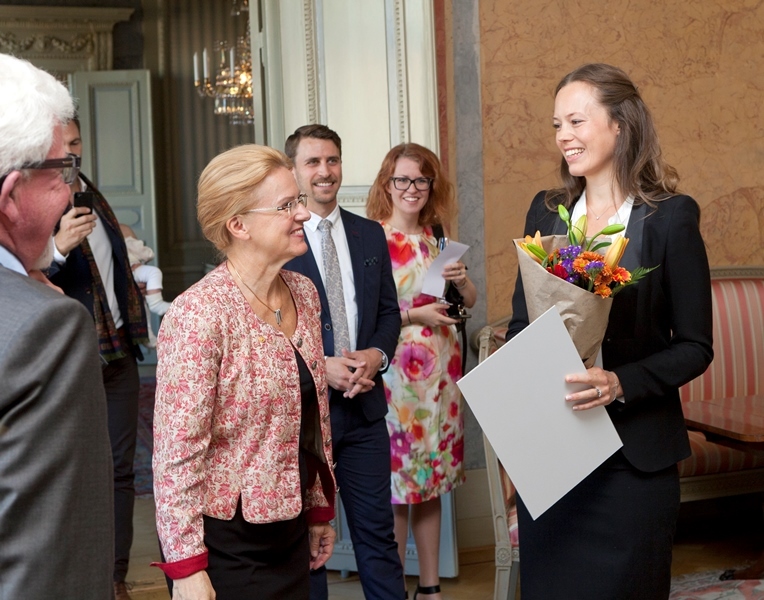 The scholarship is for continuing studies in economics or law and is open to people with a degree from Chalmers and some years of work experience. 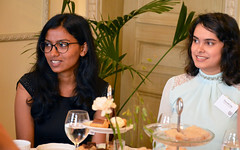 The majority of those awarded the scholarship – now an exclusive group of 25 persons – have chosen to sharpen up their Chalmers degree with an MBA from abroad. Each scholarship is worth approximately SEK 500,000. It is beyond doubt that technology has transformed every facet of human life, both for better and for worse. Therefore it does not come across as a surprise that many administrative departments in the government sector, have used technology as a tool to channelize information and speed-up processing of data. It has been the same with the visa application procedures in every country. Majority of the visa application procedure, from submission of forms to payment of application fee, is now online in most of the countries. Being a non-European student, I needed a visa to enter Sweden. The visa process was very clearly outlined on the Swedish Embassy’s website. I will strongly recommend all the applicants to visit the website of the Swedish Embassy in their country. I found answers to all my queries there like how much amount I need to show in my bank statement, the educational documents required and validity period of visa. The application, processing fee and relevant documents had to be sent online. However, after submitting the application, I still had to visit the embassy in person to submit my bio-metrics. The bio-metrics include finger prints, height, signature and photograph. A major confusion was that wether a representative from embassy would contact me and give me a time slot for that, or do I have to make the phone call myself. I was not sure, so I decided to call them myself and as I learnt afterwards calling them yourself is actually the way it should be done. Luckily, I was studying in the capital of Pakistan, so I did not have to travel to submit my bio-metrics. For a lot of students, it was a big hassle to travel all the way to the capital city for a 15-minute procedure. Unfortunately, a big chunk of applicants every year have to go through this misery and spend a precious chunk of their time and money in completing this stage of the procedure. 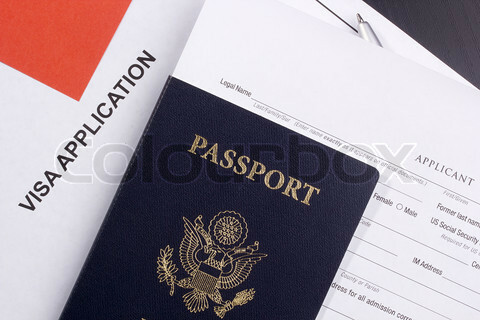 Personally, I envy people who can travel to different countries without a visa; having filed a barrage of paper work for the university application, you are then confronted with the uphill task of assembling documents for the visa. It can be deflating at times, but one has to keep a calm head and look at the gains beyond the struggle; I did so, and now I take immense pride in the determination that I showed. After the bio-metrics it was just a waiting game; the embassy told me I had to wait for at least 3 months for a reply. After around 10 weeks a got an email from the embassy stating that a decision had been made about my visa, but did not specify wether it was a yes or a no. I felt confused and annoyed at the same time at such an unclear message, but then there was not much I could do. A few days later I got a call from the courier company to come and collect my visa from their head office. I had mixed feelings of jubilation, enthusiasm, gratitude and passion when I finally put my hands on the resident permit card; all my hard work and aspirations had finally yielded the desired result. I guess I was lucky; some international students, whom I met after coming to Sweden, had unforseen delays in receiving their resident permit cards due to administrative problems at the embassy. So, it is always advisable to apply for the visa as soon as you accept the offer from Chalmers and not being lethargic about it. My resident permit card is valid for only a year and I will have to get an extension one month before the date of expiry to continue my studies in Sweden. Applying for a visa seems to be a daunting task; the fear that you might mess up and the golden opportunity to study abroad might go down the drain, is always looming over your head. At least I felt so, because I knew many talented students who got through to the best universities, but failed to make the final leap of obtaining the visa. It is hearth wrenching, but at the end of the day it is a part of life. I sincerely hope none of the new students at Chalmers face such a fate, and all of the make it to the amazing community of students here! The latest addition to my snail-pace growing Swedish vocabulary is “gräv”. Not just the word, but the deeper connotation of its use. In Swedish, Gräv means to dig, and where did I learn this? – At a conference on investigative journalism. Does the connotation in this context already emerge to you? The conference is called Gräv, and is a take on the work investigative journalists do – digging out the truth. Being a signal processing student, I have to constantly work with data and see if different sets of data have any correlation built between them. With this paradigm, it was all the more easy to grasp the presentation of the conference which was trying to emphasise on the need for “free press and stable states”. Invariably, nation states with the most dynamic and independent media vents – print, TV, radio and now the most important Internet, clearly are more democratic and even though this puts them in trouble, it also places them in position to debate, discuss and solve their problems. And Sweden tops this positive correlation. One of the most vibrant media landscape in the world thrives in Sweden. 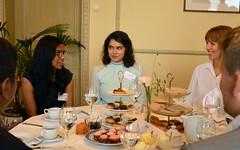 The Swedish Institute organizes awesome events such as this as being a Swedish Institute scholarship holder, I have the opportunity to apply to and participate in many of them. It was exhilarating to be at the unofficial capital of Northern Sweden – Umeå for the conference. Umeå happens to be the European culture capital for 2014. A brilliant conference at an impeccable venue, this one was. I interacted with many important investigative journalists from across the globe. Of the more than 600 Swedish journalists at the conference, I got to interact with many important Swedish journalists like Nils Hanson, the editor for SVT’s Uppdrag granskning; Sven Bergman and Joachim Dyfvermark duo of the Cold Facts fame who revealed to the world many ground-breaking investigative reports like the CIA’s Extraordinary Rendition stint with Sweden and dealings of TeliaSonera in troubled states. Personally, the most fruitful of discussions I had was with author and Guardian journalist David Leigh, who has closely worked with the likes of Julian Assange, Edward Snowden and Jacob Appelbaum, bringing out some of the most explosive pieces of journalistic work ever done. Apart from all the positives, the conference also revealed to me the state in which investigative journalists are working in countries like Egypt, Syria, Lebannon, Belarus, Palestine, Ukraine and Russia. Meeting them in person and to hear their anecdotes of covering some of the worst ongoing human crises. To say that I was inspired or moved during my meetings with them and hearing their anecdotes of covering some of the worst ongoing human crises would still not capture the experience. It has left me changed, for the good. 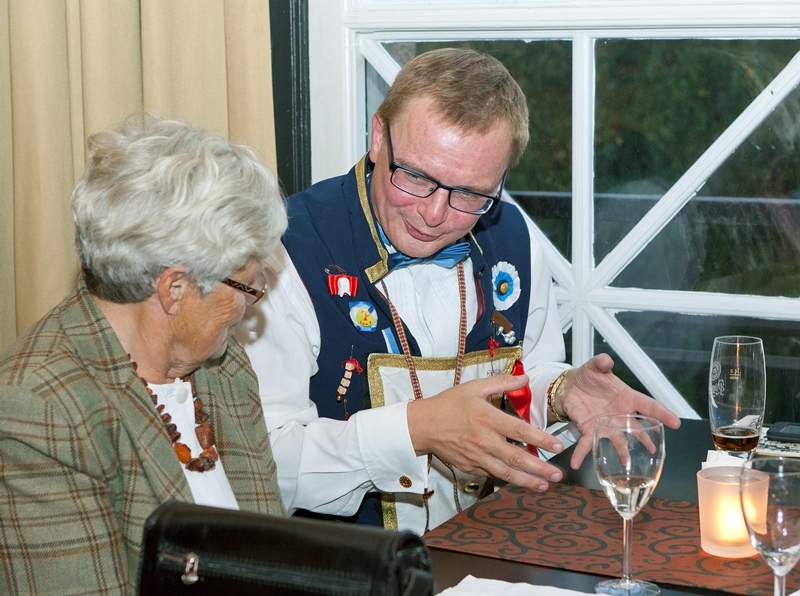 As part of the event, an interaction with the indigenous people of Northern Sweden – Sami people, was organised. I shall focus on that in a subsequent post, but will only commit to the fact that I totally relished on their authentically cooked reindeer meat meal. Dorothy Leo och Bo Hedfors får Chalmersmedaljen 2014 för sina insatser för att främja högskolans utveckling och verksamhet. 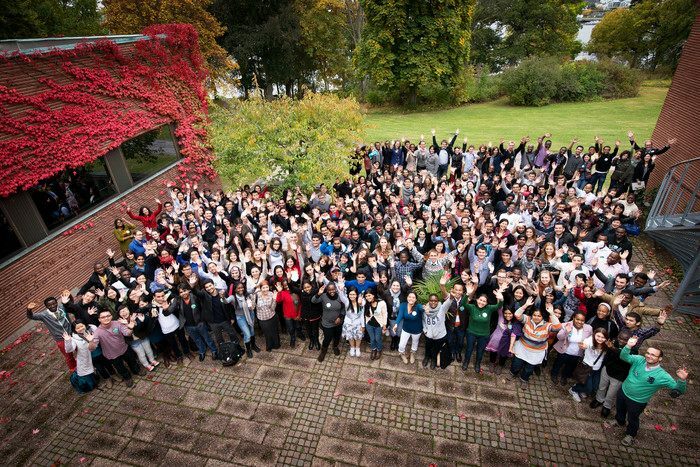 ”Med en kombination av energi, värdefull internationell erfarenhet och omsorg om Chalmers studenter har de på ett personligt och omsorgsfullt sätt bidragit till både studenternas utveckling och ett mer attraktivt Chalmers”, skriver högskolestyrelsen i sin motivering. Dorothy Leo är bosatt i London och är sedan januari 2012 Director of Executive Management for the SKF Group. Där ansvarar hon för den strategiska utvecklingen av SKF:s ledarskapsprogram. Dessförinnan var hon bland annat Director Talent Management med ansvar för att utveckla deras framtida ledare i olika globala program. 1991-1995 arbetade hon som konsult för ODI (Organizational Dynamics, Inc.) och dessförinnan med andra uppdrag inom olika kundrelaterade positioner. Dorothy Leo är involverad på alla nivåer i Unitech – ett samarbetsprogram mellan nio framstående tekniska universitet från nio länder i Europa och drygt 20 större företag – med smittsam energi och långt över det som förväntas. Sedan mer än tio år har Dorothy Leo varit företagsrepresentant i ledningen för Unitech och har sedan 2011 ett ännu mer aktivt uppdrag som kassör. I denna position har hon en strategisk roll för Unitechs framtida utveckling. Hon är av den fasta övertygelsen att Unitech är ett koncept som både företag, studenter och universitet har stor fördel av. Dorothy Leo framhåller även vikten av Unitech inom sitt eget företag där hon är ett nav för många av de decentraliserade aktiviteter SKF driver inom ramen för Unitech. Hon ser Unitech som en naturlig del av SKF:s Corporate Social Responsibility och Employer Branding. På det personliga planet engagerar hon sig för studenterna och ger individuell support på varje Unitech-event. Hon ser individerna i den situation de befinner sig just där och då, och är alltid beredd att vara en klok mentor. Dorothy Leo är också med vid många tillfällen då studenter ska väljas ut, utifrån största möjliga nytta för alla ingående parter. I den rollen har hon delat med sig av sin långa, internationella HR-erfarenhet till universitetsvärlden om hur studenterna bäst förbereds för framtida anställningar i Sverige och i andra länder. Dorothy Leo är ett föredöme och hon visar hur samverkan mellan näringsliv och universitet kan fungera när det är som bäst. Som person har hon bidragit till att ge många studenter en flygande start i en global värld. Chalmeristen Bo Hedfors (E68) var bland annat med och startade U.S. Friends of Chalmers år 2002. Han har haft många ledande befattningar inom telekommunikation, bland annat i Sverige, Holland, Danmark och USA, där han var vice vd på Motorola i Chicago. På svenska Ericsson var han verksam i 30 år. Mellan 2002 och 2009 drev han sitt eget företag Hedfone Consulting. 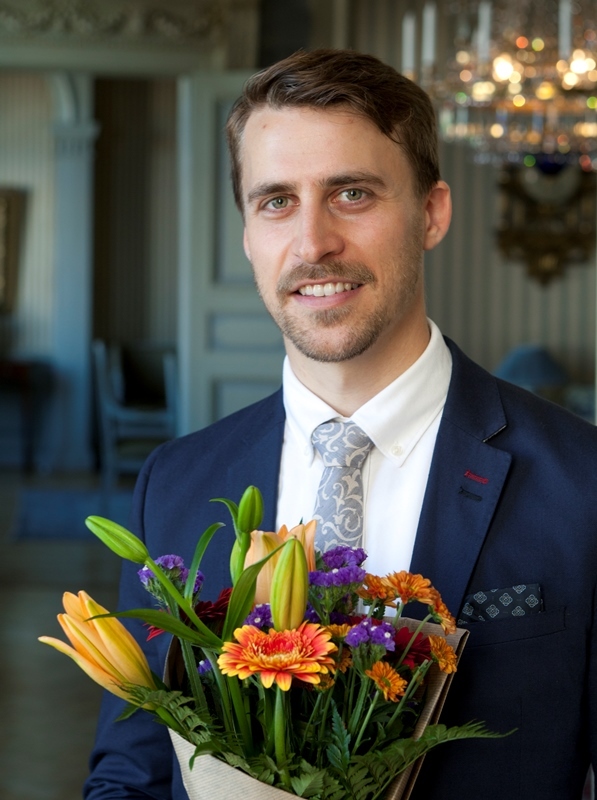 Han har också fungerat som affärsängel där han återigen visat att Chalmers står honom nära genom att gå in i företag i Chalmers innovationssfär med både resurser och kunnande. I dag är Bo Hedfors bosatt i La Jolla, Kalifornien, och i Stockholm. Bo Hedfors har också varit ledamot i Rådgivande kommittén (RÅK) på Chalmers sedan dess start och bidragit med kontakter och kunskaper om internationella arenor och om USA men också till värdefulla kontakter i telekommunikationsbranschen där han varit aktiv under hela sin karriär. Liksom flera andra ledamöter i RÅK har Bo Hedfors varit en stor välgörare och donator till Chalmers, med stort intresse för Chalmers forskning och innovationssystem. Ett lika stort intresse har han visat för studenterna och utbildningens utveckling. Bo Hedfors har varit den enskilt största donatorn till U.S. Friends of Chalmers och till de studentstipendier som bär stiftelsens namn. U.S. Friends of Chalmers är en organisation vars huvudsyfte är att öka kunskapen om Chalmers i USA och i detta stödja forskning, utveckling och samarbete mellan länderana genom att bedriva fundraising för olika ändamål. Detta gör man genom att förmedla möjligheterna rörande amerikanska donationer till Chalmers. Som föreningens ordförande har Hedfors främjat och stöttat volontärarbetet för Chalmers i USA. Bo Hedfors har också stöttat och stärkt det program för internship som Chalmers har i USA för teknologer och nyutexaminerade alumner. Här får studenterna möjlighet att studera och jobba på företag i USA under en period. Programmet har varit mycket utvecklande för såväl de utresande personerna som för Chalmers. U.S. Friends of Chalmers har nyligen också lanserat ett nytt stipendium för amerikanska medborgare som vill ta en masterexamen på Chalmers. Chalmersmedaljen instiftades år 1948 till 200-årsminnet av William Chalmers födelse. Medaljen tillägnas den, vilken genom intresse och värdefull insats främjat högskolans verksamhet och utveckling. Medaljörerna skall alltså ha gjort något utöver det vanliga för Chalmers. Chalmersmedaljörerna utses av Chalmers högskolestyrelse på förslag av rektor. Medaljen delas ut vid den årliga promotionen, som i år äger rum den 10 maj.
More than 500 SI scholarships to be given this year! The Swedish Institute scholarship applications have opened today, on the 3rd February and will remain open till the 11th of February! I have already written about multiple scholarship opportunities, and this post is a heads up for those of you who still have not made up your mind about the SI application. About 550 scholarships are being awarded this year! A whooping number! SI scholarship (that which I am a recipient via Challenge Yourself 2012) will include full tution fee and living expenses paid grant for two years. That is enormous funding, and those of you have already applied for a seat in University Admissions, must look at the application and give it a shot. There are two categories under which these scholarships are awarded based on the geographical location. Find the category relevant to you and get started with the application. Although the funding is the most attractive and quintessential part when you are an applicant, the SI scholarships open up a whole gamut of opportunities. 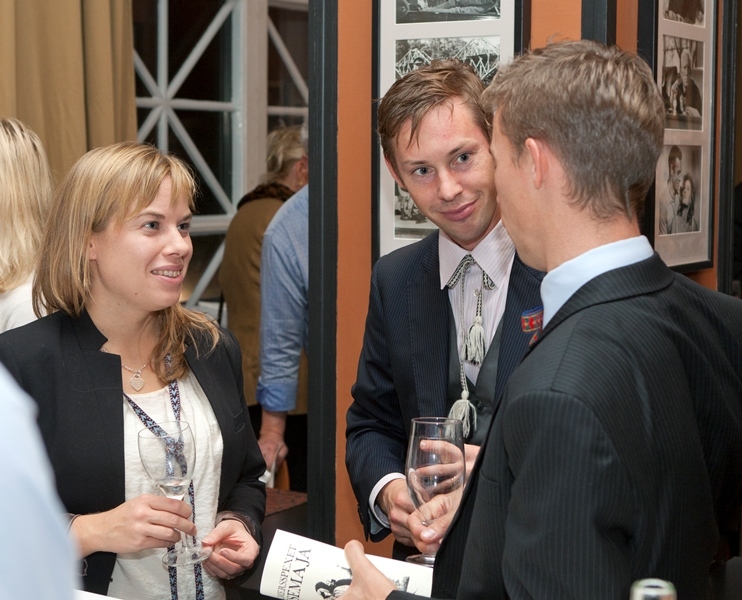 Every scholarship recipient gets to be part of the SI: Network of Global Leaders. On this platform umpteen number of workshops through the two years, multiple get togethers, talks, conferences and a host of other insightful events are conducted. I have already participated in a workshop of human rights and democracy), and the kick off party. 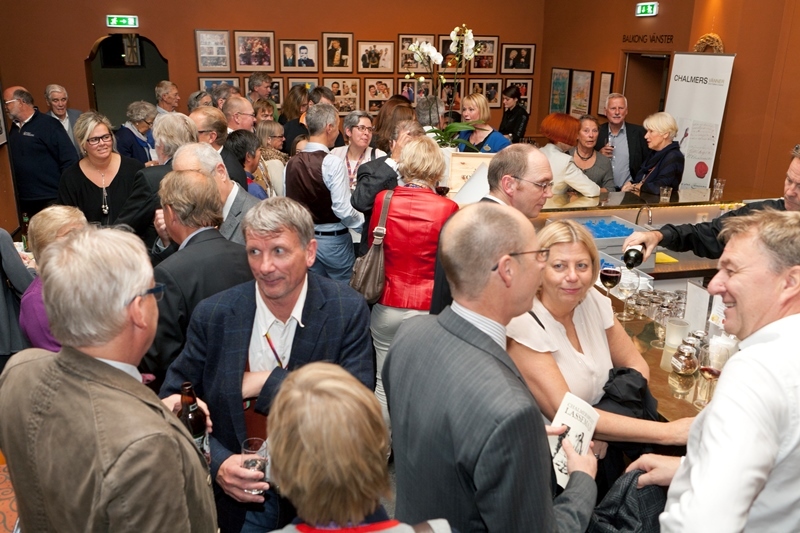 Many more events have been consistenlty organised, including many interactive events during the Nobel Week, where many SI scholarship holders had the chance of meeting Nobel laureates. 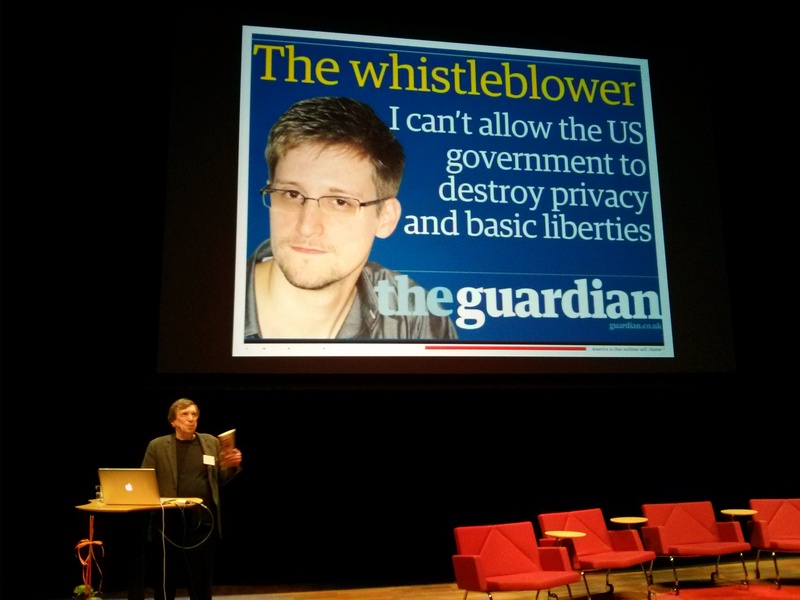 Next, I have applied for a conference on investigative journalism happening in March, up in northern Sweden Umeå. Although the selection of this event is not out yet, many such events are open to us, and not only these widen our learning horizon, but also present us with unmissable opportunities. While I am never a giver of advice in terms of your application, of late many applicants have been writing to me asking for suggestions. My only blanket rule for your application would be ”Be honest, and depict your passion”. There aren’t any secret formulas! Chalmersspexet har i höst firat 65 år med en rad uppsättningar av både klassiska och nyskrivna föreställningar. Ett 70-tal chalmerister mötte upp när Chalmers Vänner passade på att bjuda på mingel och nyuppsättning av 1984 års spex ”Lasse-Maja” på Lorensbergsteatern i Göteborg. Trots att regnet smög sig på utomhus var stämningen varm och gemytlig inne i teaterfoajén. ”Lasse-Maja” bjöd på underhållande akrobatik och fängslande intriger. Med delar av originalensemblen på scen charmades publiken av rappa repliker och en fantastisk energi. Den tokiga handlingen tillsammans med en mycket fysisk akrobatik var ett lyckat koncept. När publiken på klassiskt spex-manér krävde omtag, var ensemblen snabb att bjuda på sig själv och höja stämningen ytterligare. – Om ni bara haft en tredjedel så roligt som vi har haft så har ni haft det oförskämt roligt! kommenterade huvudrollsinnehavaren Anders Jackson från scenen. – Det här är ett sätt att tacka alla som bidragit till Chalmers Vänner och därmed hjälpt till att föra högskolans utveckling framåt, förklarar hon. Insamlingsfonden Chalmers Vänner har delat ut stipendier till aktiviteter som är av särskilt värde för Chalmers framtid och utveckling sedan 2007. Det kan vara studenter, forskare eller projekt som utmärker sig på något sätt. Men det är inte bara fokus på pengar utan även engagemang genom kontakter och tid är viktigt. – Chalmers Vänner handlar inte bara om kronor och ören utan även om samvaro och gemenskap. Det är en förlängning av chalmersandan och det hoppas jag att många av er känner, sa Marianne Gyllensten i sitt välkomsttal på Lorensbergsteatern. Hon fortsatte med att berätta om framgångarna med studentprojekten Solar Decathlon och Formula Student och allt spännande som händer på Chalmers. Invigningen av Chalmers grafencentrum, lanseringen av EU:s forskningsflaggskepp om grafen och kommande Nobelföreläsningar var bara några av de aktiviteter som nämndes. I minglet träffade vi bland andra chalmeristen och chalmersvännen Mats Ljunggren (E67) som var med och startade telekomjätten Europolitan (nuvarande Telenor). Under de första åren var han även bolagets vd. Mats Ljunggren, som i dag är glad pensionär, minns sin studietid väl. 1967 var han kårordförande och på senare år blev han starkt engagerad i bygget av Chalmers nya kårhus. – Det är trevligt att få träffa chalmeristvänner i en så härlig miljö och inte minst att fira att chalmersspexet fyllt pensionär, säger Mats.